The ship towing the underwater drone searching for the missing Malaysia Airlines Flight 370 is preparing to pick up spare parts required to fix defective transponders, officials said. The transponders mounted to both the Australian defense vessel Ocean Shield and the U.S. Navy drone Bluefin-21 have hardware defects that hinder the ability of the two devices to communicate with each other, according to Australia's Joint Agency Coordination Center (JACC), which is leading the search. Ocean Sheld arrived Sunday at Geraldton, a coastal city in Western Australia more than 250 miles north of Perth, to "begin preparations to receive spare parts" needed to fix the transponders, JACC said in a statement. The vessel was originally slated to go to Dampier, a major industrial port, to pick up the parts, but it was "determined that the parts could be delivered to the ship more quickly via the port of Geraldton," said the statement. The spare parts are expected to arrive at the port later Monday local time, officials said. 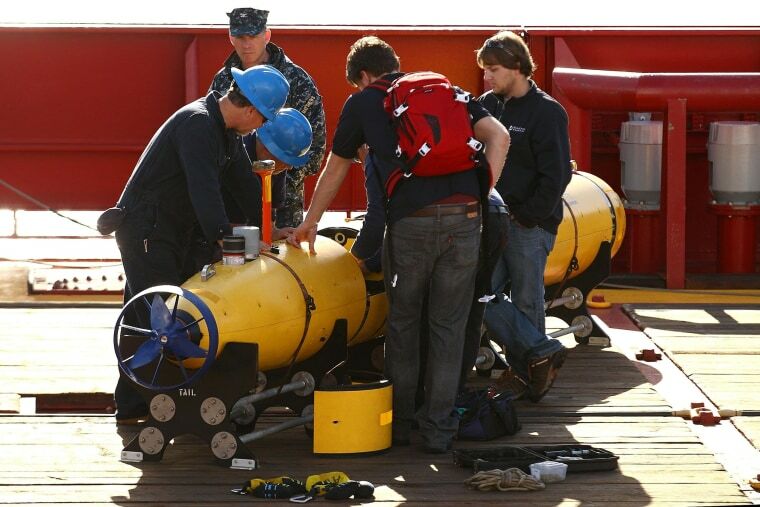 Bluefin-21 had been recalled last Tuesday after suffering "communications problems" just hours after it was deployed.